I’m getting so many Questions about Dependents and if they can be claimed or not, I thought I’d set up a posting just for those kind of questions. Please leave your IRS Dependent question here and I’ll try to look it up as soon as possible. Please do not include any of your personal information you would not want others to see as your question and my answer will be added to the comments below. If you do I will edit it out before displaying to others. Remember, I am not a trained Tax professional. I’m simply looking up peoples IRS questions and sharing what I find with others. I am not giving legal advice, it is your responsibility to know the law. My daughter does not work as we want her to stay home w/her child. We pay her rent and she is on housing w/food stamps. She is not able to take part in the child credit because she doesn’t work, is this right? My husband’s ex wife has continued to claim his children on her taxes even though we have a letter from the State of Idaho and his divorce decree that state he gets the entitlement. We eventually get our refund and Stimulus money after sending a copy of these letters in but why does the IRS continue to let her claim them? What you are looking for is called a Qualifying Child. According to the link below you can claim your daughter this year and next year as long as she is still a full time student and UNDER 24 at the end of the year. Remember their definition of a full time student is the child must be going to school for 5 calendar months of the year. Enjoy her while she is home. I’ve got one in college also, they grow up so fast. Here is the link into the IRS online site where I’ve looked up your dependent question. Look under Qualifying Child. Speaking as a divorced parent that had to negotiate who would caim her as a dependent, you have a tough path to take. You are following the law, the other parent is not. Remember I’m not a professional but I’d look into reporting tax fraud. This may be a way to get them tagged so you don’t have to do so much paperwork to get things straightened out each year. Here is the link that tells you specifically what you are to do when reporting tax fraud. It talks about a Form 3949-A or writing a letter with specific information required. One of the questions is The Years Involved. The 5 years might get their attention. Good luck Terry. Generally you are correct. I’ve looked this up and it says that the difference between what she costs you and her income would be the only child credit value. 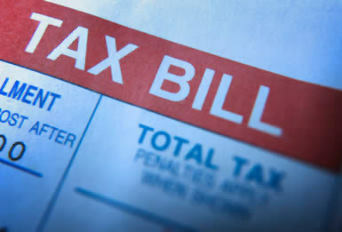 The link here talks about Child Tax Credits and pertains to your situation. My son and his wife lived together with their child until July/08 and then separated. My son went to file his taxes electronically and has been rejected because he found out that his m-in-law has claimed the child as a dependent. What does he do know? hello im 19 years old i work full time and made right at $8000 this year i am not a student and i live at home. My mother claimed me as a dependent on her taxes this year now i owe in and i was woundering if she can do that. I am so upset about this cause it just doesnt seem fair. my daughter lived with me until October5th of 2008. From the end of June to end of july she had stayed with her father for summer break. Now he says its his right to claim her because of the time span she was with him and the fact that he paid child support that was taxed. He already claimed her without telling me .what should I do? My mother is trying to claim me for 08. i am 20 years old and filed as independent so i can get my full return. however my mother is upset and is still claiming me. Is that even legal for her to do b.c i didnt live with her for over six months? and i paid rent…even though there is no proof. What consequences could this cause her? How can I file for my child if someone has filed? She lives with me. I pay child support for may child that is not living with me. I am sure that her mother claims her on her income tax. Am I eligible for in sort of claim also? Help!! When I filed tax forms for my husband and myself we claimed our 20 year old son as a dependent..which he is, he lives at home and is a full time student. However, when I filed his tax return I failed to check the box that claimed him as a dependent on our taxes. Our tax forms were kicked back and his was accepted..how do I go about making the change to have him included as a dependent on our tax forms? Your mother does have the right to claim you if live with her and she is supporting you. Examples of supporting would be not charging rent or charging a minimal amount, providing food, clothing, insurance, car payments, etc.. Regarding owing in, when first starting out it is safest to not claim any exemptions with your employer so that the money is taken out in your paycheck. That way you either will not get stuck with a IRS bill at the end of the year or at least you will minimize it. This is best until younger people learn to budget for possible IRS debt. Becca, it is the norm for parents to caim their children under 20 as long as they are living with them. Please do not overreact and become angry at her. It it helps at all think about all the years she totally took care of you. It is clear she loves you or you wouldn’t be 19 and living with her. Lastly, remember my disclaimer, I am not a trained tax professional and do not give legal advice, it is your responsibility to know the law. Theresa, unless you have a divorce decree stating who is to claim as dependent and who gets the exemption the IRS has strict rules regarding dependents. It is not affected if one pays child support. From the information you’ve given you are clearly due the right to claim her as your dependent. Here is a link with the definition of what the IRS calls a Qualifying Child. This one offers additional information for deciding on who claims the exemption. I have heard of parents filing first and doing this sort of thing. Most of the time there isn’t a catch up. I’ve yet to find the exact procedure if there is one to correct this other than reporting IRS fraud. Here is the link that tells you specifically what you are to do when reporting tax fraud. It talks about a Form 3949-A or writing a letter with specific information required. One of the questions is The Years Involved. With only 1 year I don’t know how responsive they will be. Good luck Theresa. My Disclaimer: I am not a trained tax professional and do not give legal advice, it is your responsibility to know the law. First of all I want to commend you on thinking about how your actions would affect your mother. Seeing a young adult caring about their parents is refreshing. Thinking of others like you do will always come back when you least expect it. You’re a good girl. Let her read this to remind her of that. Ok, back to your question. In order for you to be claimed by your mother you would have to be considered what the IRS calls a “Qualifying Child” In your case you would have had to live with her for 6 months or more. So by the IRS definitions she is incorrect to claim you. Remember I’m just a plain citizen sharing and not giving legal advice. (I have to say that to cover myself). This may or may not come back to bite her you never know. With the current budget issues our Government is having, more IRS audits are occurring and will probably continue for quite some time. If this was my case and my Mom or Dad, I’d eat it and remind her of at least 6 month condition and that if you are not going to school 20 years old is the cut off. 1) My son is divorced, 40 years old and has been living with me for over a year now. He has not been able to find work so I have been supporting him. Can I claim him as a dependent? 2) Would that then make me “head of household”? Regarding the definition of a “Dependent”. A Dependent means one of two things, A Qualifying Child or A Qualifying Relative. In your case your son fits the Qualifying Relative as long as no one else is claiming him and his gross anual salery is less than $3,500. The IRS definition of a Qualifying child and Qualifying Relative is here. Regarding your Son’ s reqirement to file. There is a table 2.2008 that spells out the Filing Requirements for Dependents. In that table is lists that if his gross income was over $3,500 he probabally can not be claimed as a dependent unless he is defined as what the IRS calls a “Qualifying Child”. This is a link to that table. Just a reminder I’m not a trained tax professional and do not give legal advice. It is your responsibilty to know the law. I have foster children who meet the relationship, age and residency requirements as a qualifying child. The IRS says that the support requirement for a qualifying child is that the child can not have provided more than 1/2 his/her own support. However, the only worksheet or information I can find about this is for the qualifying relative support test which is different (you must have provided more than 1/2 the relative’s support). Any idea whether foster care payments count as the child’s income for the sake of whether or not he/she provided more than 1/2 his/her own support? The payments are made out to me not the child. It clearly says they would count under the relative test but all I can find about the child support test is, “This test is different from the support test to be a qualifying relative.” (pub 501) AAAAH! If I claim head of household and claim my mother as dependent, how will this impact her ability to receive Part D Social Security discounts on her prescription medications? I have not claimed her thus far, but I provide her a home, pay utilities, taxes, and insurance on the home, and pay her car insurance. Where can I find info on this? I don’t want to jeopardize her ability to get the prescription drug assistance or Medicare assistance. I can answer this one from personal experiance as far as claiming my 21 year old. Her mother and I had to claim one year then the other claim the other year based on 6 months or more. So, in your case if he was working full time in June then he actually was not in school the entire first 6 months and didn’t go back in Sept. therefore you can not claim him. OK – this one is little tricky – I have read through the pubs, and cannot find reference to it. Our daughter ran away from home. We knew where she was and knew she was in relatively little danger, but did file two separate run away reports on her. Since she was a legal dependent we claimed her on our return. We kept her on our medical insurance. We have recieved notice from the IRS that someone else claimed her also. Who has the right to claim her? My x husband and I both claimed our youngest son this past year, only to get a letter from the IRS that one of us cannot claim him, all of our boys live with me full time, but the divorce decree says that he can claim them with a “contingency” that he pays his child support. I talked to the IRS about this, and if it says the words “that he can claim them with a contingency, as long as he is up to date on his support” in your divorce decree its null and void, the parent with whom the children live with full time gets the right to claim them. The IRS does not recognize the decree if it states that in it. I have joint custody, but that doesnt mean he ever sees them, only 14 days out of this year so far, and he doesnt do anything for them, it all comes out of my pocket. So I am thankful that the IRS doesnt recognize a contingency, to help me out, he is now behind on support, but even so he still cant claim them, because of the wording, and I am so needing that break, I am the custodial parent, I wish I had known that 3 yrs ago. So for all you single moms out there, where the father is not in the picture, or doesnt help past having his wages garnished like my x…I hope this helps. my Mother in law has been living with me and my wife in an extra room for most of the past year she does have a home in florida. Mother in law is on Social Security but contributes nothing to our household my question is can I claim her as a dependant on my return I am sure she doesn’t file anything and does that have an effect on her Social Security? Please, my children (from former marriage), and I live with my fiance, my ex does not pay any child support and I do not work. My fiance is the sole supporter of my children, can he claim my children and myself? Since we are not legally related, I’m not sure how this would work. My daughter is 28 and works part time making minimum wage. She lives with me and I provide all her living and food expenses. Am I able to claim her on my taxes as a dependant? Is she also able to file a return? my mother lived with me all of 2009. she received her disability and back pay after june of 2009. can i claim her as a dependant for 2009 and do we have to count her back pay and monthly check? The IRS states that in order to claim a dependent that they must be living with you for 6 months or more. Since you had custody for more than 6 months then they were your dependents for more than 6 months. Per this qualification you can claim them on your taxes. I’m sorry but your fiance does not meet the requirements to claim your children as dependents (qualifying child). The IRS has specific tests to determine if the children are “Qualifying Child”. The list below shows because the both of you are not married, or the children are not legaly placed under his care he has not authority. Special test for qualifying child of more than one person. If you two marry then he could claim them next year. First of all I understand your pain this must be causing you. I have a niece that ran away in a very simular situation just a few months ago in New Mexico. In her case there was a girl friend of the father that aided her. She’s back now but it was almost a kidnap we were so scared. Back to your question, these people can not legaly claim her unless they were awarded some type of guardianship / adoption / legal responsibily for her. Keep in mind several tests need to be met. In your case the Relationship Test fails for the other people. Your brother, sister, half brother, half sister, stepbrother, stepsister, or a descendant (for example, your niece or nephew) of any of them. Adopted child. An adopted child is always treated as your own child. The term “adopted child” includes a child who was lawfully placed with you for legal adoption. Foster child. A foster child is an individual who is placed with you by an authorized placement agency or by judgment, decree, or other order of any court of competent jurisdiction.